Another great month, and despite it only being 28 days I just managed to beat the previous month’s record so I was very well pleased with the results in February. Despite still no increase in love from Google, I was promoting hard in January and February, seeking out new markets and traffic was improved. 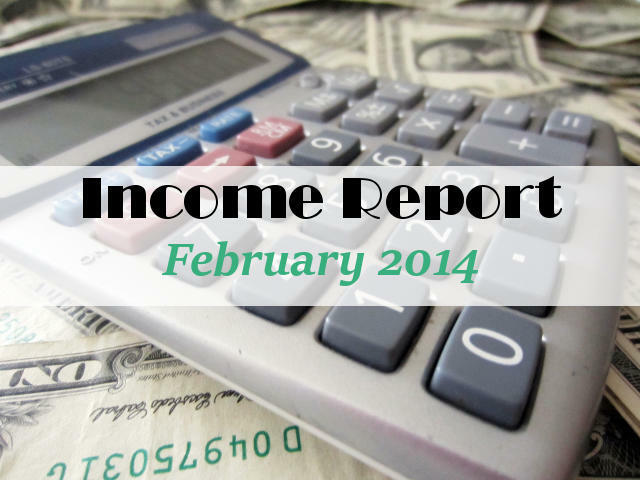 Looking back to February 2013, earnings for that month were $837.08 so year on year, a nice increase. But not everything went smoothly and there were a couple of hiccups that will impact in March. Let’s have a look in more detail. Mad Ads – I had been giving Mad Ads a trial to see if they were a good alternative to Adsense. Although earnings weren’t huge and I only gave them the one spot to see what happened, I had been happy with the results and was just about to write a blog post to recommend them as a good sidebar advertising option. Then disaster! Jann wrote an email to tell me my site had one of those big red warning screens on it from Google to say my site has been blocked for being infected with Malware! What the hell! I tracked down the culprit – it was my Mad Ads advert that was being detected as Malware. I removed it and the site warning disappeared. It was only about 8 hours later that I had an email from Mad Ads to say their ad server had been hacked and some of their publishers had been ‘affected’ but they had sorted it out now. No grovelling apology. I wrote and told them how I was disappointed that they hadn’t thought to write immediately to the websites affected and warn them of the situation, but instead did nothing for many hours. I asked to close my account and have my balance paid. I’ve since written a total of 8 times asking for my account balance to be paid and not even got any acknowledgement back. Adsense – talking about advertising woes, my Adsense account has also come under attack again at the end of this month, and some idiot is repeatedly clicking over and over again on my adverts. Yeah, thanks, great job. You wouldn’t have thought it was difficult to find an Adsense expert out there, but I’ve posted on the Adsense forum, posted my job on several freelancing sites and still nothing. I’m looking for someone to track down and stop this person, so I can return my account back to active status and start earning money again. It can be such a problem for small bloggers. If I do manage to find someone to sort this out for me, they’ll get a great big mention here and a big virtual hug. Until then, Adsense earnings are on hold. Advertising alternatives – so this brings me back to the topic of Adsense alternatives. Who to use to fill these spaces if your Adsense is denied or dis-approved. Clearly not Mad Ads! I’ll be looking at alternatives, revisiting some I’ve tried before and will report back next month. Sewing pattern sales – did really well in February. The Cowl Neck Top was a huge hit and there were several takers for my Sewing Pattern of the Month Club. The pattern release for March has a narrower appeal so probably won’t get so many sales, but I’m working hard on new pattern releases going forward and have high hopes for this area of my income. A big thank you to everyone who has bought one of my patterns – it is very much appreciated. Blogher – all members received an email in February telling us about some new terms and conditions to their service. Basically, they are reducing by 50% some of the areas of advertising revenue effective from 1st March. The email tells us that “We anticipate that this will have a minimal effect on your overall net revenue”. I carried out some quick numbers and see that (based on Jan figures) when this change comes into effect I can expect a reduction in my revenue of 32.4% as a result. That is hardly what I could call a “minimal effect” on revenue. They also tell us are now they are “delivering higher quality, more targeted ads at a higher CPM”. Yet their report shows my CPM on these areas to be 30c to 70c. Once this is reduced by 50% to 15-35cents per 1000 views, that can hardly be called a high CPM. Disappointed and this will lead to a reduction in revenue for March going forward. Website set up – the hosting company have never come back about the new arrangements they were going to offer me despite many reminders. This means it is no longer possible for me to pay the hosting and domain fees for setting up new websites, because it leaves my PayPal account vulnerable. There is an easy alternative – the customer pays with their own account and I refund the amount paid. But this isn’t working out – when I paid everything I had lots of customers. Now, I still get a lot of inquiries about setting up new sites and doing Blogger to WordPress transfers, but when I explain the new procedure where they have to pay and I refund them the money, no one wants to do it! It’s just $36, but perhaps people don’t trust that I will refund it. Who knows. So this line of revenue is now pretty much closed. It’s a shame because I really enjoyed doing it and getting new bloggers out there into the world. I’ll be attempting to hire a Virtual Assistant! I just recently took a week off ‘work’ for a vacation to celebrate our Silver Wedding anniversary and we decided as far as possible to make it computer free time – which was lovely. But it did mean I had a BIG email backlog when I came back which I have still not caught up with, and I spent no time promoting my site that week with a noticeable drop in traffic as a result. I’ll be looking to hire a Virtual Assistant to take care of my social media, Pinterest etc to give me more time to concentrate on producing my content, and more time to spend with my family. Know of anyone who might be interested? You can download a job resume for the Social Media and Marketing Part time Virtual Assistant. Thanks for all the information. I enjoyed reading. Very nice report, overall, could you share with us how many websites/blogs you are maintaining to reach these monthly earnings. It’s just two Lily, this one and my sewing site. I also have a separate site for the Blogger to WordPress transfers, but that one doesn’t earn any money and no views etc are included in these numbers. Well, I think you’re doing pretty fine here. Keep the trend going and wish you the best in the future. Do not hesitate to invest in other stuffs so there can be more streams of income. Can’t wait for the day I will get to this as well. Thanks again for sharing your monthly info with us. I also enjoy reading your report every month. Sorry you had some problems. Very frustrating, I’m sure! Awesome again. Sorry to see the issues you are having with some income streams. Frustrating I am sure. I am making a little more each month myself- so thankful for your advice! Hi Moms, very good earnings with your blog. I have a German Blog and my earnings are never as high aus yours. So If you want to like to know how high my earnings are you can visit my page. There has to be a WordPress plugin that you can install and block the IP of the person who is clicking on your ads. You should definitely do some research. Yes I have that plugin Andy, but its very unsophisticated and only works in very limited circumstances. The attack is not being blocked by this plugin, but I don’t want to give too many details here except to say I have someone working on it and tracking the culprit. Congratulation you are finally there this month you have made it your goals. Hi, great job I think the sewing patterns is where you can really grow and dominate in the months ahead. What are the sharesale numbers from if you don’t mind me asking? Hi Jeff, I’m keeping this part a bit of a secret, don’t want to give away all my best ideas! But there are several companies I use, across quite a range of products. I find a way to incorporate them into my posts where possible. Ok – am wanting to earn money but am disabled and at home. I have lots of time but spend a great deal of it worrying about finances. I’m educated. I have a Master’s in Social Work. I don’t have a ton of knowledge about computers but can study and read directions and can get help from husband. My question is remarkably naive and I’m embarrassed to ask but how in the world do you get started? Is there a site that helps people just begin? Maybe that could be a project for someone to set up and maybe that would make a business. I would be grateful if you could share names of books or sites that might help me take steps. Or maybe tell me you got started? And the social worker in me wants to tell you that I’m sure Spring will be a turn around for you. You are so smart and savvy that I’m certain your income will increase. Honestly, as a newbie, I’d be grateful to make $100 a month!! My own self esteem and sense of worth has suffered much from not being able to work like I used to. Thanks for any direction – that is if you have a moment to spend on my dilemma. I understand you must be busy all the time. Just thought I might try and find out what to study, look at, read, etc. So you need to know what you want to write about and know that there are a good number of people out there who would want to visit you at least once a week to read about it. You need ideally to pick a single topic, although I know there are other successful sites that include several topics, but get started with just one. Then start writing. You learn as you go along and get better and better. You can only really learn by doing so you just need to make a plan and then start and see how it develops from there. Let me know if I can help you set up a site to get started. HI Nancy. I’ve had a look at the site and I’m not sure about the topic. Discussion on the Pros and Cons of Internet Shopping. It might be something you could write a few articles on, but how would you sustain the content, refreshing and renewing it, posting new articles regularly? I can only see that you have the one page and the one article. Is there anything else? It’s not clear because I don’t see any other menus or pages. How do you plan to take it forward? Will you be personally reviewing popular online stores and they ordering process, customer service etc? What do you plan to write about that regular readers would want to come back each week? You say it went live about a month ago, but have you just posted the one introduction so far? You could certainly advertise but you have to have some content for people to read, otherwise you will be paying to send them to the site and there isn’t anything for them to look at yet, so they’ll leave immediately and there is no reason for them to follow you. Will you have an email list or newsletter? I didn’t see anywhere to sign up. Also the formatting of your post is a bit off because the adverts at the bottom are covering the text within the post itself. And I don’t see links to any social media for you or way to contact you. All the social media buttons are sharing buttons for my own pages, but none for yours. So far, I think you have too little content, and too many essential elements missing from the site in order to launch and advertise it just yet. You need to develop your idea more about the content, add more interesting content and add in some of those missing elements. Then the site will be ready to introduce to new readers. I wish you luck with it. There’s a lot of hard work ahead of you in order to turn it into a success. Thank you, I will take your advice and use it to help myself go forward. I look forward to reading your material and learning. Have a good day.